Grilliput Foldable Open Fire Grill - For Grilling While Camping | BUDK.com - Knives & Swords At The Lowest Prices! Cleaning groove for soiled grill bars. 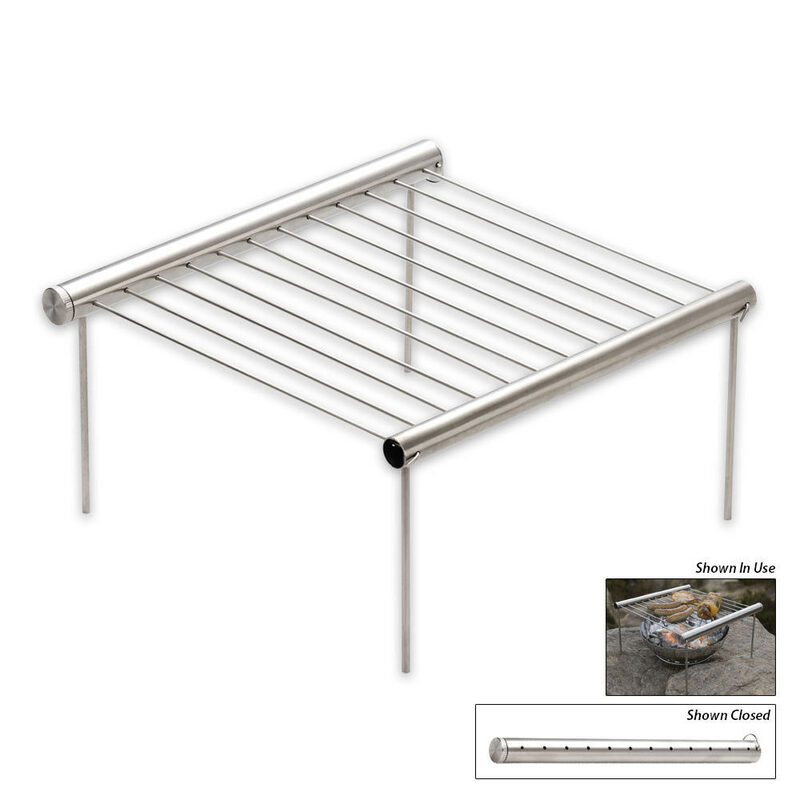 Grill parts fit inside stainless steel tube for easy and compact storage. Bail for hanging in storage. Includes 1 thick tube with a stopper, 1 thin tube with a cleaning groove, 2 outer grill rods with hooks and threads, 10 grill rods, 4 grill feet. Length: 29cm/11.4"., Diameter: 2.2cm/0.86"., Weight: 560g/1.24lb, Barbeque area: 23x26cm/9.1". x 10.2". 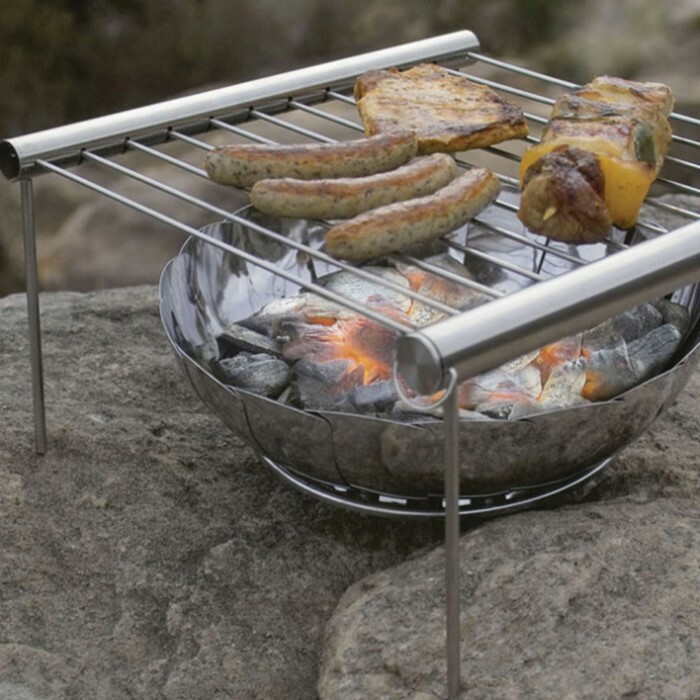 This Grilliput is the next must-have for your next expedition! Perfect for the hiking trail or campsite, it is simple and functional. Grilliput provides maximum experience for minimalists after all, less is more! Form and function are harmonized in our high-quality, German-designed portable grills and fire bowls. We use only top quality stainless steel for durability. 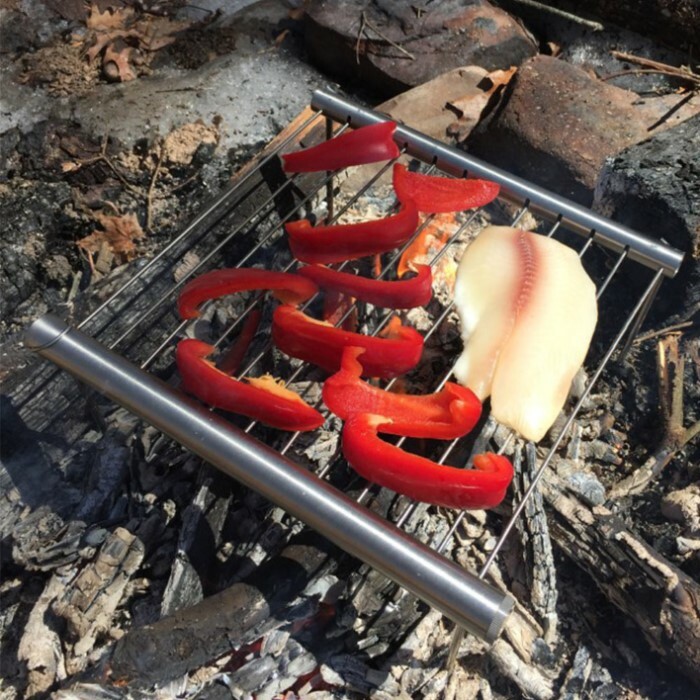 Grilliput is completely dishwasher-safe and allows backpackers, boaters, and other outdoor minimalists to take charcoal grilling with them wherever they go. Got one for my Army Son for Christmas. The first thing he said was "it is so light". After putting it together he said "it is very sturdy". This grill is perfect for a back pack. I think I am going to get one myself for my Go Pack.. I was really surprised how heavy this fordable grill is. This is not something you'll be putting in a bug out bag because of the weight. I don't think the 1.24 pounds is correct, feels more like over 4 pounds. But is has a really solid feel to it and could be good as a weapon if needed.